Eighth year of Kangxi, Oboi captured, the beginning of massive remnants wipe. Loyal servant, Ah Bu's ten years old young daughter, Liang Er (Zheng Shuang, also starring in The Cage of Love and Destined to Love You), escape death and witnessed her whole family being slaughtered. While fled, Liang Er met young Kangxi (Hawick Lau, also starring in Lady and the Liar, In Love with Power and Sealed with a Kiss) and they experience life and death situations together without knowing each other's identity. They left a deep impression on each other and make a promise to meet again in future. There after, Liang Er met her cousin, Nalan Rongruo (Zhang Bing Bing) but accidentally lost her memory. In order to protect Liang Er, Nalan Rongruo changed her name to Wei Ling Lang and takes care of her. Time flies, both Nalan Rongruo and Wei Ling Lang grow up together with deep affection for one another. However, his father was afraid that Wei Ling Lang's true identity will lead to danger and secretly send her into palace as a servant. Wei Ling Lang thought she will spend her whole life all alone in the palace, until Kangxi's appearance disrupt her peaceful life. Her reunion with Nalan Rongruo also sparks hope in her. Kangxi recognized Wei Ling Lang as the girl he love years ago, try all ways to get her remember their past memories together as well as their agreement to meet. Meanwhile, Nalan Rongruo secretly plans to take Wei Ling Lang far away. 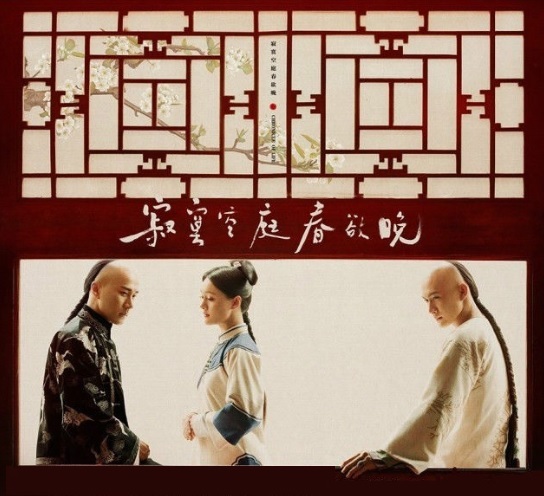 One is the overbearing emperor, the other is her childhood sweetheart, leaving Wei Ling Lang in dilemma. 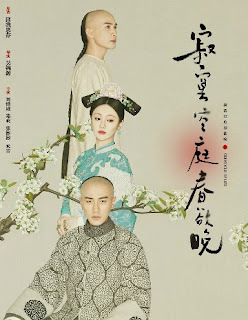 Just as Kangxi's love for Wei Ling Lang deepen, he found out that she is the sweetheart of his good brother, Nalan Rongruo, and reluctantly decided to give them his blessings. However, in a twist of fate, Wei Ling Lang fell in love with Kangxi and begin to enjoy the sweetness of love, at the same time, she regain her memory. One side is blood feud, the other is infatuated lover, Wei Ling Lang cannot make her choice. Her long lost real brother, Chang Qing who has been living in the palace appeared and force her to revenge for their family. 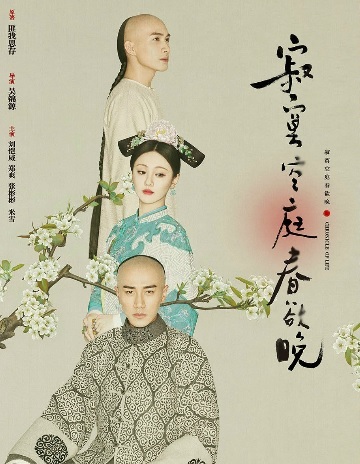 Love or affection, hatred or forgiveness, Kangxi and Wei Ling Lang entangled a section of sorrowful endearing love. Chronicle of Life 寂寞空庭春欲晚 (Trailer) is adaped from Fei Wo Si Cun's novel (Novel Discussion), Ji Mo Kong Ting Chun Yu Wan 寂寞空庭春欲晚. Hi Seoul In Love, it's "whine like a baby" here. How're you? Long time no talk. Have you seen this drama? I started it but couldn't finish it. Boring plus I find Hawick & ZS acting here lacks. Their pairing was better in Cage of Love. I just finished Imperial Doctress. Hey, great to chat again. 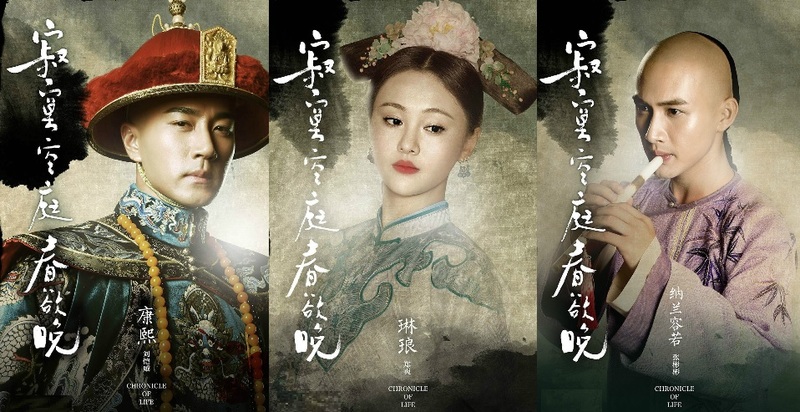 Imperial Doctress is like (kind of) the chinese version of korean drama 大长今. If you're a fan of Liu Shi Shi you might like her drama but am not a fan of her. Watching because of Wallace. However I find Wallace role here mediocre (not alot of screen time as compared to 2nd lead plus his role isn't as heavy as the 2nd lead). So, you manage to finish Chronicle in the end? 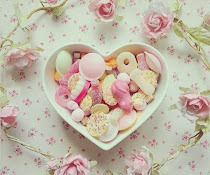 Actually I find ZS very sweet looking previously. A pity as she is quite a good actress, but now she looks very typical. Oh, I'm no fan of LSS either but I did enjoy watching most of her dramas (such as BBJX and Da Mo Yao). Sounds from you that Doctress is another flop for WH? Lol! Yes, I know the 2nd lead, Huang Xuan. I like him better in modern series. He has an upcoming drama, Translator, co star with Yang Mi. Another drama adapted from c-novel which I intend to put up soon. Hi, I'm whining as usual...no no, Imperial Doctress is not a flop for WH. Infact I think the rating is pretty good, I don't know how good. It's just that after watching him in The Journey of Flower, LMIYD, Battle of Changsa, I personally don't like his role here, not prominent as compared to Huang Xuan. Who knows...maybe it's arranged to be like this to give HX more screen time and acting opportunities. I didn't finish Chronicle because I just didn't like both of them here. Ever since Sealed With A Kiss, I really couldn't finish any of Hawick's drama. He don't seem to be able to express it anymore like he did in SWAK. I find ZS not as good as when she was in Cage of Love. Generally I prefer ancient drama compared to modern series but not many actresses can pull off a good ancient drama.